Shark Tees & Long Sleeves Just $9.99! Down From $30! Shipped! You are here: Home / Great Deals / Shark Tees & Long Sleeves Just $9.99! Down From $30! Shipped! This deal expires on December 29! 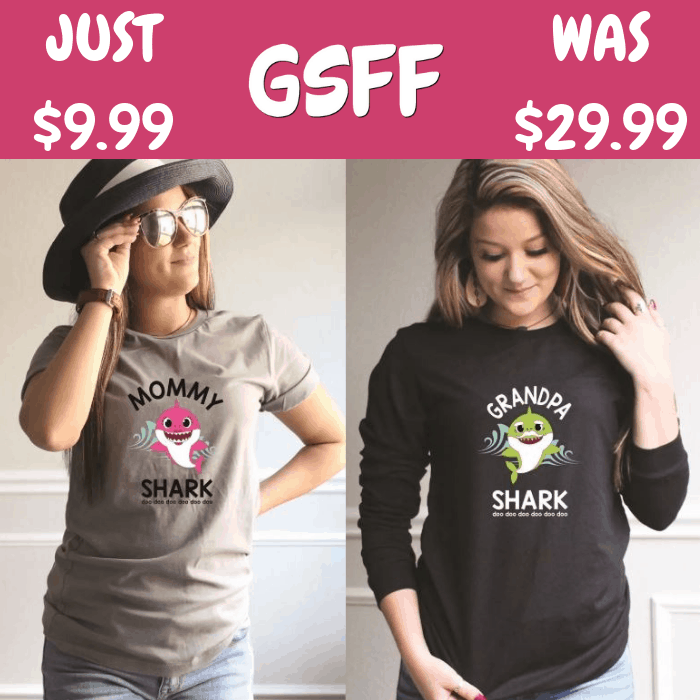 Hurry over to Jane where you can score these Shark Family Tees & Long Sleeves for just $9.99 down from $29.99 PLUS FREE shipping! Why not bring the Baby Shark Theme song alive? Now introducing these super cute baby shark family tees and long sleeves. Make your surroundings with your children more fun! You can have them in regular tees or long sleeves for cooler nights. These tees and long sleeves will go with cute jeans.